Please See "Water Rats April 19 - Song List"
It's about time we started a song list for the 2019 Water Rats bash. I shall start the ball rolling then - how have we done this previously? Max of 2 song suggestions for each attendee? Once you have a long list we can have a chat about dropping it to 20 songs or so - need to make sure newcomers get at least one choice. @poopot is our man in the frame as well so we can get him involved. I would definitely like You Shook Me All Night Long (AD/DC), nominated that for the last jam which I had to pull out of! I'd happily play Malcom on the above. both have nice rhythm parts and some widdly stuff. We have a wider pool of willing singers than at last Woking, but with recent incoming bashes of my singing I'm personally not quite as willing to take on the tougher ones as I was. I'm only saying this because the majority of suggestions so far are pretty difficult to sing, so are very unlikely to make the shortlist. I haven't seen anyone bash your singing? Whoever it wa should sing the first song! It isn't a big deal, it wasn't directed at me in a nasty way, and I probably shouldn't have mentioned it in here, sorry. I've had some private feedback from a couple of people that some of the songs I've sung on have been ambitious for my natural vocal abilities. My attitude to these jams has always been to get stuck in, and indeed it will remain so and I'll always be supportive of any attendee who does. I think we should consider in the round though that as fun as AC/DC songs (for example, I'm not picking on that choice, it's a great song) are etc. to play, heck I've almost nominated "Back in Black" for the setlist a few times, it's incredibly difficult to sing them. I've made a similar comment elsewhere on the forum that when suggesting songs to play at jams folks need to try singing the song themselves in the correct key before proposing it. Well said Ed, your singing has improved a lot and you are doing some great vocals on ones in your range, and I’m in a similar situation- I’m happy to sing to ensure the song has vocals, but only the ones I like and can do a half decent version of. None of us are high pitched screamers, so songs that need that style are going to be difficult unless the proposer is happy to take on singing them. choice 2 the night they drove old Dixie down the band version. I'd quite like to try A Punk by Vampire Weekend. Comfy with @munckee will be good also. In fact - how about I do it on a fretless 5 string? I’d love to do drums on Comfy again, have nearly nailed it, just need to work out an ending. Unlikely, but the fretless 5 is a go-er..
@MtB are you spreadsheeting these? Happy to do so if it helps? 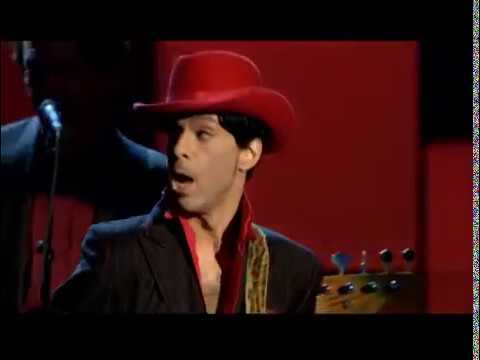 That's actually from the 2004 Rock and Roll Hall of Fame inductions, with the famous Prince solo. It is a great example of how f**king epic that song is though. Ok... I will chuck the following into the hat. Seeing as i cant sing, and even less sing and play at the same time, mulling over some songs that dont fall in the same trap as AC/DC songs or any others with challenging vocals wont be a problem for me. Heres the thing. As i (and all of us) get better, and get to know what works in a tFB jam setting, i might be inclined to go with the flow. But let’s please have some decent variety in the suggestions. Dodgy lyrics, but we'll ignore that! I would love to join in with Comfy and Wanted Dead or Alive if there are simple enough parts (or any others that come along that may be suitable for me too). That would be just amazing to play on. I could also do a bit of backing vocals as I do sing a bit. As long as you can find a YouTube video/online version of the song we will learn that version. You could even do a recording of you and your guitar buddy’s version so we can learn the version you play. I had no idea what to expect on my first jam. At this very venue. It’s a great place with an easy vibe, so that should help you settle for starters. Prob the best advice I can give, is come with an open mind. No expectations, no pressure. Whatever prep you do, is what you do. Come as you are, and bring your guitar. I’m sure there’s a few on here who could help you learn the acoustic part to comfy - or even a basic rhythm part! @Blackjack - I'd be delighted to strum an acoustic version of Comfy with you as @Bridgehouse mentioned above - it's a song that I love to listen too but have never learnt to play.